JOHANNESBURG – 9 July 2018 – International advocacy organisation Global Citizen today announced that Beyoncé & JAY-Z, Cassper Nyovest, D’banj, Ed Sheeran, Eddie Vedder, Femi Kuti, Pharrell Williams & Chris Martin, Sho Madjozi, Tiwa Savage, Usher, and Wizkid will headline the first Global Citizen Festival to be held in Africa, a free-ticketed event on Sunday, 2 December 2018 at the FNB Stadium, Johannesburg. Oprah Winfrey will deliver a special keynote address remembering Nelson Mandela and his legacy. Executive producers of the Global Citizen Festival: Mandela 100 include Dr. Precious Moloi Motsepe, Patrice Motsepe, Kweku Mandela, Dave Holmes,Declan Kelly, Liza Henshaw andHugh Evans. Hosts of the Global Citizen Festival: Mandela 100 include Naomi Campbell, Sir Bob Geldof,Gayle King, Bonang Matheba, Tyler Perry, and Forest Whitaker. The Festival broadcast will be produced by Ben Winston and Fulwell 73 Productions. Nelson Mandela famously called for this generation to realise an end to extreme poverty in one of his last public speeches, and Global Citizen has campaigned on this message with activist-driven events in Vancouver, London, Brussels, and at the upcoming 2018 Global Citizen Festival to be held in New York’s Central Park on 29 September. Activists and music fans can begin to earn their free tickets starting on August 21st and can sign up today atwww.globalcitizen.org.za, demanding world leaders make major investments to end extreme poverty and take a stand for women and girls. The “Mandela 100” campaign seeks to mobilize USD $1 billion in new commitments for the world’s most marginalised people, with USD $500 million set to impact the lives of 20 million women and girls worldwide. These investments will be aimed at ending hunger and increasing access to good nutrition, ending neglected tropical diseases, reducing HIV transmission rates, ensuring every child receives a quality education, reforming and repealing sexist laws, providing funding for women’s health and family planning, and ensuring access to clean water and safe sanitation world wide. “Nelson Mandela was one of the greatest examples of resistance, patience, and forgiveness that our world will ever know. It is our great honour to campaign in his name and answer his call to be the generation to end extreme poverty,” said Hugh Evans, Global Citizen, Co-Founder and CEO. “We are honoured to play a humble role in the Nelson Mandela Centenary Celebrations in honour of our icon, Dr Nelson Mandela who is an inspiration to people throughout the world. We partnered with Global Citizen because of the good work they do in encouraging young people to bring change in the world and their advocacy and commitment to end Global Poverty. The Motsepe Foundation has over many years initiated and supported projects in education, the provision of skills and expertise, health, research on HIV/AISD, sports, partnerships with religious and faith based organisations and traditional leaders, wildlife and environmental conservation. 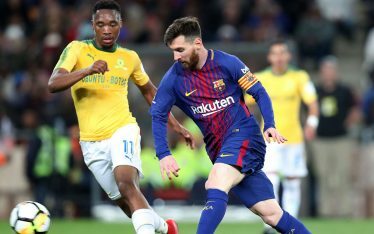 What I like about this concert is that, as much as much as it is free, young people gain entry based on the points they have accumulated through acts of activism,”said Patrice Motsepe. “One of our goals at the Motsepe Foundation is to improve the living conditions and lifestyles of poor and the disadvantaged people in South Africa and globally. We have projects that are focused on the development of girls and women as well as the youth. We were impressed by the good work that Global Citizen do in mobilising the youth to hold world leaders accountable and decided to partner with them. The youth is our future and the best investment that we can make in our future, is to invest in the youth,” said Dr Precious Moloi Motsepe. “Nelson Mandela believed in people’s potential for goodness, and inner potential to change things for the better, for each other and for ourselves he believed that poverty and injustice were man made problems, that we could solve together. One hundred years on from his birthday, this year’s roving Global Citizen Festival will be held in his honour – in Johannesburg on December 2nd. It has been such a pleasure to put together, and all of the artists have been amazing to work with, perhaps because this is a chance for us to show that we all believe in the same things he did: love, acceptance and forgiveness,”said Chris Martin, Global Citizen Festival curator. “I am pleased to lend my support to the Global Citizen Festival: Mandela 100, in celebration of Madiba’s rich legacy of social justice, compassion and activism. Each one of us must take inspiration from his fight for equality by being the generation to end extreme poverty. We must ensure that no child or adolescent die from preventable causes, including hunger and malnutrition. I call on world leaders, civil society organizations, business leaders and change agents everywhere to join Global Citizen and take action to achieve the Sustainable Development Goals,” said Graça Machel, Founder and Chairperson, The Graça Machel Trust. “The future of the world lies in the hands of young people. Over half the world is under the age of 25. We must inspire and support them to be the generation to end extreme poverty. Nelson Mandela believed that poverty is man-made and must be overcome by human action. That’s why I’m delighted tosupport the Global Citizen Festival: Mandela 100, to call on young people and world leaders to take action for a brighter future for everyone,”said Ban Ki-moon, former United Nations Secretary-General. A number of world leaders will address the Global Citizen Festival: Mandela 100, including South African President Cyril Ramaphosa, Amina J. Mohammed, Deputy Secretary-General of the United Nations, Prime Minister Erna Solberg of Norway and President Nana Akufo-Addo of Ghana, who both serve as co-chairs of the UN Secretary General’s Advocacy Group for the Sustainable Development Goals, President Mokgweetsi Masisi of Botswana, Dr. Tedros Adhanom Ghebreyesus, Director-General of the World Health Organization, Alexander De Croo, Deputy Prime Minister of Belgium, Gilbert F. Houngbo, President of the UN International Fund for Agricultural Development, David Beasley, Executive Director of the World Food Programme, Ambassador Ertharin Cousin, Board Director of The Power of Nutrition, and Peter Sands, Executive Director of the The Global Fund to Fight AIDS, Tuberculosis and Malaria . Starting today, music fans and activists can sign up atwww.globalcitizen.org.zato be among the first to be notified of the action journey launch. Actions include emailing world leaders, signing petitions, and using social media to generate commitments in support of the United Nations Sustainable Development Goals. LIFE BELOW WATER (Global Goal 14):addressing the threat plastic pollution poses to the oceans. Global Citizen is proud to join forces with the most forward thinking and innovative organizations committed to the mission and movement of ending extreme poverty. 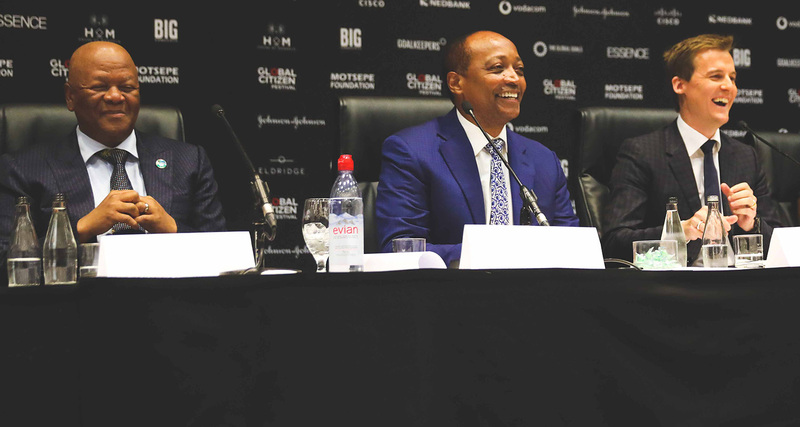 The Global Citizen Festival: Mandela 100 will be presented byour Major Partner The Motsepe Foundation, with major partners, Johnson & Johnson, Cisco, Nedbank, Vodacom, Big Concerts, House of Mandela, Bill & Melinda Gates Foundation Goalkeepers, Eldridge Industries, and Associate Partner, HP. Since the first Global Citizen Festival in New York in 2012, Global Citizen has grown into one of the largest, most visible platforms for young people around the world calling on world leaders to honour their responsibilities in achieving the United Nations Sustainable Development Goals and ending extreme poverty by 2030. The organization has taken its action-based model to Australia, India, the United Kingdom, Germany, Belgium, and Canada, and created a platform for activists to learn about the issues they care most about, take action, and earn rewards for doing so. Global Citizens have generated commitments and policy announcements from leaders valued at over $37.9 billion that are set to affect the lives of more than 2.25 billion people. This year alone Global Citizens have secured 29 commitments totaling over $2.9 billion that are set to affect the lives of more than 501 million people by 2030. The Motsepe Foundation is an NPO (Non-Profit Organization) started in 1999 by founder, Mr Patrice Motsepe and co-founder Dr Precious Moloi-Motsepe. The Motsepe Foundation is committed to the upliftment of the poor and marginalised people, through projects and initiatives that assist its beneficiaries to become self-sustaining and independent. The Motsepe Foundation has over many years initiated and supported projects in education, the provision of skills and expertise, health, research on HIV/AISD, sports, partnerships with religious and faith based organisations and traditional leaders, wildlife and environmental conservation.